Blue Lobelia (Lobelia syphilitica) Green spikes of leaves with small bright blue flowers that grow 12-36 inches high. Easy grower. 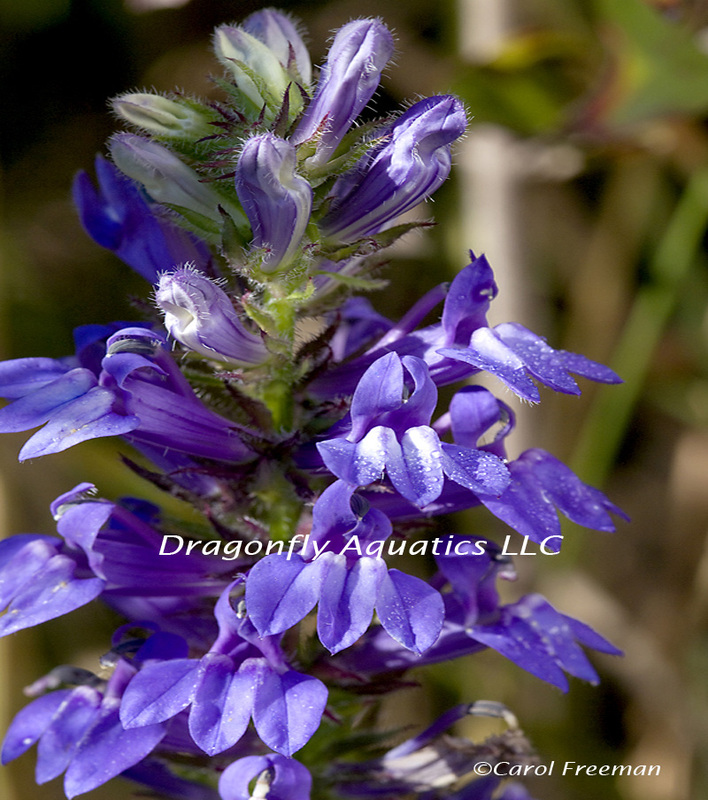 Plant in shallow water at first then it will tolerate moist soil to water 2 inches deep. Very good bloomer and will bloom July thru October. Prefers sun to part shade and neutral or alkaline soil. IMPORTANT! When first planting only give it moist soil and gradually increase depth of water once established or it can cause the plant to die back when given too much water at first.